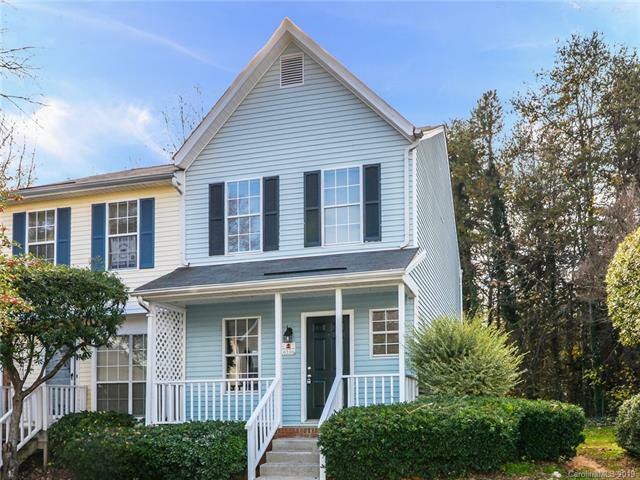 6336 Windsor Gate Lane, Charlotte, NC 28215 (#3462494) :: Caulder Realty and Land Co. Beautifully UPDATED End Unit! Fresh Paint throughout, New Carpet and Designer LVT in Kitchen and Baths. AWESOME Open Floor-plan! Great Room features a fireplace. Kitchen is fantastic with Exotic white granite, White Cabinets and FULL Black appliance package. Upstairs are 2 Master Suites! Both bedrooms are a great size and feature vaulted ceilings with fans. Perfect for room-mates! All baths feature granite counter-tops! Enjoy evenings on your front porch or grilling out back on the extended deck. Newer HVAC unit! Come Quick! !